World Health Organisation (WHO) said on Monday; Thirty Two weeks after Ebola outbreak first discovered, it has already covered places in Democratic Republic of Congo’s. 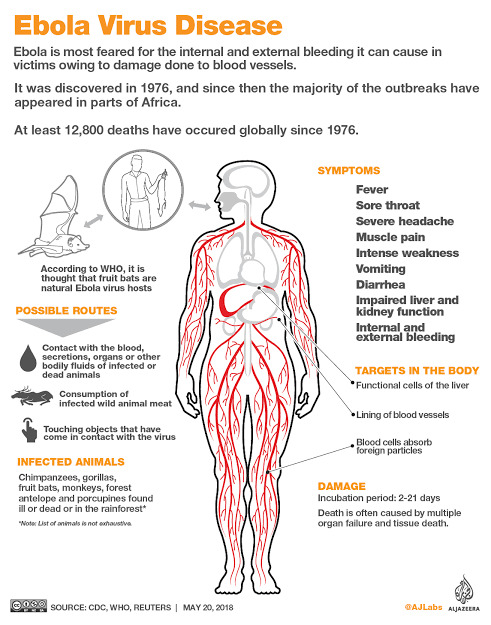 Things to know about Ebola. Number of new cases has been registered in past two weeks of which seems to be a disadvantage for the efforts to tackle the second biggest outbreak ever. This is happening because the community keep refusing to receive treatment and militia violence destroying health centers. The number of cases gives a record 57 the following week, and then increased to 72 last week, said WHO spokesman Christian Lindmeier. Reports given by Congo health ministry, Over half of the Ebola deaths last week took place right outside of health centers, which indicates the possibility of transmitting the virus to people around them is very high. “People are becoming infected without access to response measures,” Lindmeier told Reuters. 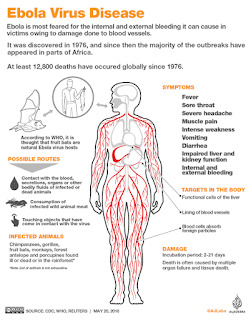 The current outbreak is believed to have killed 676 people and infected 406 others. Another 331 patients have recovered.